Is it snowing in Summit at Snoqualmie ?Thank you! 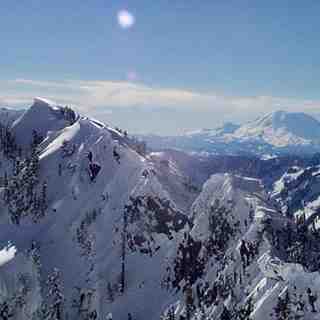 Summit at Snoqualmie, in the United States (Washington State), is a large resort with 26 lifts (20 chair lifts & 6 surface lifts) that offers skiers an impressive 695 metres (2280 feet) of vertical descent. 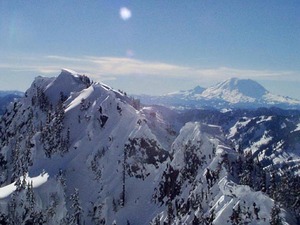 Summit at Snoqualmie has 1916 acres of terrain over 114 trails. Summit at Snoqualmie is best suited to intermediate skiers and snowboarders but there is some terrain for beginners and advanced skiers. 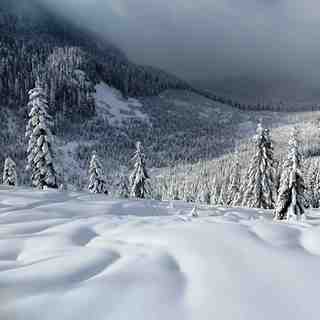 There are 55 kilometers (34 miles) of cross country ski trails at Summit at Snoqualmie. For snowboarders, there are 3 terrain parks and a half pipe. A small proportion of the trails at Summit at Snoqualmie are covered by snowmaking. The nearest airport is at Seattle. It would be really fair to their snow shoe patrons if they were told that they should completely avoid the trails that the cross country skiers use (at Summit at Snoqualmie). Basically, the majority of the trails do not allow enough room for both classic skiers & snowshoers so snowshoers are forced to use the center area at times. Unfortunately, the center area skiers felt that they were the only ones entitled to use that area - no matter the reason. Interestingly enough, the older athletes were always the most pleasant, but it seemed that the majority of the 20 - 40 somethings were complete jerks with entitlement attitudes - pretty comical and sad (for them) actually. One of the main things that clearly didn't register in their pea brains is that we all paid to use the trails. All in all, with the exception of great weather and a few nice people, we had a very disappointing day at this location and certainly will not be back. When we returned our equipment to the center, we commented on the problems we encountered and were told, "Yeah, we hear that a lot". Just Wonderful.